Sadie is amazing and creative. But most of all she listens to her clients. 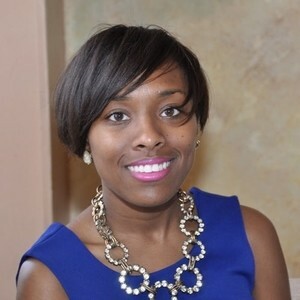 She took all my crazy ideas and thoughts to make an amazing website (http://www.thedceventplanner.com/)! Even after the website is over I was still able to contact her for website edits and questions. She built "how to" videos for me so I can take care of the upkeep for my website. Sadie is also just a friendly and great person. I feel so lucky to have worked with her and I look forward to working with her again! "Working with Sadie was such a bliss. She's an extraordinary professional and she's committed to her clients 100%. 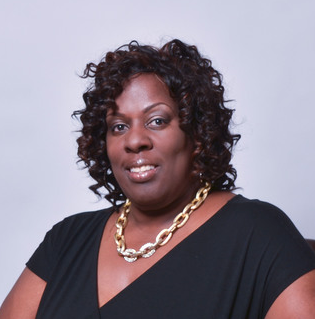 We worked together on the launch of my business new site, and her input on my promotion and marketing strategies definitely helped enhancing my performance and outreach. She is proactive and always answers your questions on time! If you choose to work with SKC Marketing you would get a complete and creative service. I absolutely recommend it." "On top of our positive working relationship, she has helped us in a pinch with fast replies and even chipping in when she was out of town. Overall, I give her the highest possible recommendation!" "Sadie is an online marketing expert, and her knowledge of design, development, and search engine optimization sets her apart from others in her field. Sadie is very personable and provides a client-focused experience. Since our first engagement, we've worked together on several other projects, and Sadie is a reliable, honest, and easy-to work with person. I look further to watching her and her business continue to grow in the future." "Sadie is a true gem. She created my brand and website with little direction. She asked a few probing questions and within a day she turned around the full package. She is a pleasure to work with, open to comments, feedback and ready to explore alternative. Sadie is customer focused with impeccable professionalism and follow-through. She stays on top of tasks, even to the point of predicting them. She exceeded my expectations and receives my highest recommendation." "Apart from her amazing skills, I think what I find so refreshing and important is her delightful personality. She is always happy and smiling, and I so appreciate that. She makes it so incredibly easy to work with her. She's so flexible. She really truly is a gem and I've learned a lot from her. I can't say enough good about her." "I had the pleasure of working with Sadie on several projects, and can't say enough about her creativity, social media skills, and marketing acumen. Sadie is great at coming up with effective and engaging social media campaigns --and does it all from ideation to execution. She is also a talented graphic designer, strategist, and wordsmith. All of those talents in one person is rare indeed! I hope to have the opportunity to work with Sadie again in the future." "I would highly recommend Sadie Cornelius. She is a pleasure to work with, punctual at each step of the process, has very good ideas, has a creative eye as a graphic designer, makes and easily takes suggestions along the way. I have hired her to do several graphic design concepts for my organization Bach Aria Soloists, and won't hesitate to hire her again in the future! She is an excellent partner in the field of marketing design." "Sadie is remarkable! I came to SKC through a referral from a friend. I was in need of a real logo. I had tried others like Fiverr and other services however Sadie was excellent. We spoke a few times about my business and about my style. I also told her my favorite color. My logo reflected everything that I needed. My business Keep Our Books, when we launch will have a crisp logo and one that will always tell the public what I do. Another thing, SKC Marketing’s pricing was right where I could afford." Sadie K Cornelius graduated from the University of Texas at Austin with a Bachelor's in Advertising and a minor in Business. She started SKC Marketing in 2012 after more than a decade of experience including heading up the marketing and promotions for the Austin Chronicle, overseeing a dozen accounts at a boutique ad agency and managing communications for international travel companies. She comes from a family of business owners and is passionate about helping others by creating compelling visuals and cohesive brand identities. She enjoys traveling the world, practicing yoga and volunteering in her community. Originally from Kansas City, Sadie currently resides in Washington DC (and is forever an Austin girl at heart).